WhatsApp is a widely used instant messaging service that lets you exchange conversations with your friends and families no matter where they are located. 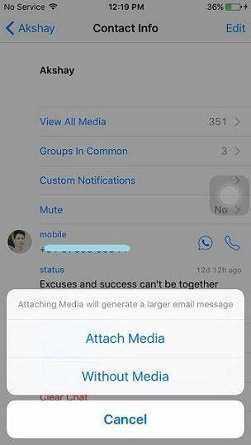 You can share text messages, images, voice messages, and even videos with the contacts you have in WhatsApp on your smartphone. This era is all about multimedia and people are now moving towards visually appealing content than the old-school text messages. WhatsApp lets you send visually appealing content in the form of videos from your smartphone to other WhatsApp users. In the following guide, we're going to show you how you can send a video from WhatsApp to Facebook and from WhatsApp to an email address. So, at the end of the guide, you will have learned how you can share a video from WhatsApp to your Facebook account and you will also have learned how you can share a video via email from your phone. 1. Open the WhatsApp app on your phone. You can tap on the WhatsApp icon on your homescreen and the app should launch. 2. When the app launches, open the conversation that has the video you want to share on Facebook. When the conversation opens, find the video and tap and hold on it for a few seconds until the contextual menu appears. When it does, tap on the share icon as shown in the following screenshot. 3. On the following screen, you should be able to see all of the services you can share the selected video with. What you need to do here is find and tap on the Facebook icon to share the video on Facebook. 4. Follow the on-screen instructions and your video will be shared to your Facebook account. So, that was how you could send a video from WhatsApp to Facebook. 1. Tap on the WhatsApp icon on your homescreen to launch the WhatsApp app. 2. When the app opens, tap on the conversation containing the video you want to share and then hold and tap on the video. Then, tap on the share icon as shown below to open the sharing screen. 3. On the screen that follows, you will see all of the providers that support sharing of the selected video. What you have to do here is tap on the email app you use on your phone. If you use Gmail, tap on Gmail and it will launch the Gmail app to help you share the video. 4. When the Gmail or your selected email app opens, fill-in the fields like To, Subject, and Email body so that the recipient knows what the video is about. The video will be attached to the email as an attachment. Hit the send button when you're done to send out the email with your video. 5. The receipt should get an email with your video attached to it. He or she can then download it and watch on their devices. So, that was how you could send a video from WhatsApp to Facebook/an email address. If there was a video in the WhatsApp app on your phone but you think it has been accidentally removed from the device, then you will need to first restore it before you can share it with others on Facebook or via email. While WhatsApp doesn't have an option that lets you recover deleted data, you need to use a third-party app that can help you recover WhatsApp data. 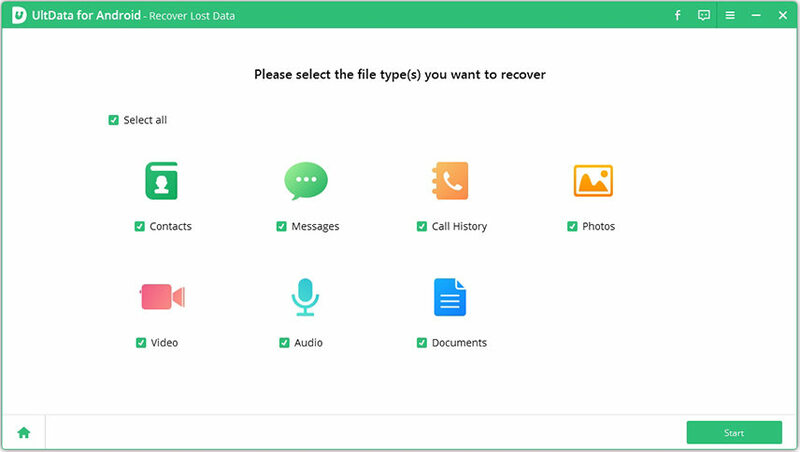 Fortunately, there is a WhatsApp data recovery app called UltData or Android Data Recovery, which can easily recover lost or deleted WhatsApp chats including messages, videos, and photos from iOS/Android phones.